Super 1/4 acre city lot with a 4 bedroom 1.5 bath home that's a "for certain".....MOVE IN READY!!! 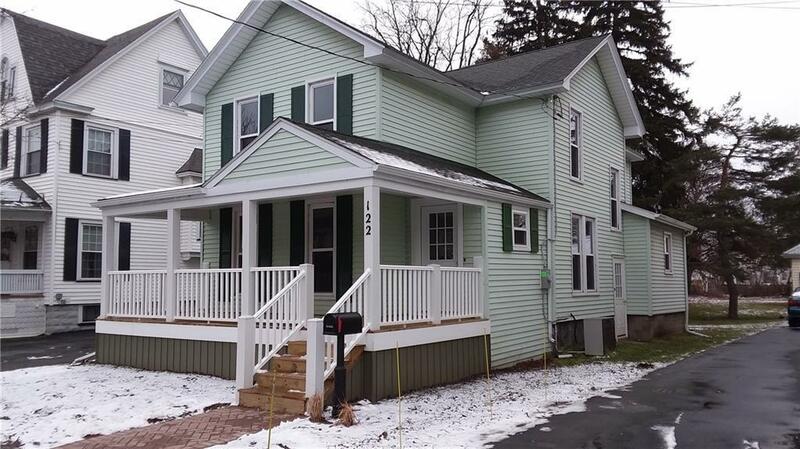 NEW IN 2018 - Front Porch w/Brick Walkway, Entire Kitchen w/Granite Counter tops, Stainless Appliances & Cabinets, 1st Floor 1/2 Bath and 2nd Floor Full Bath Complete w/Custom Tiled Surround, Forced Air Gas Furnace, H20 Tank, Interior Plumbing, Updated 200 AMP Electric Service, Interior Gas Lines and Lines to Street, Vinyl "Allure" Flooring & refinished 2nd Floor Hardwoods, Windows, Exterior Doors, Paint Throughout, Lots of New Drywall!...Convenience of 1st Floor Laurdry, Additional Living Space with a 1st Floor 12x12 Bonus Room and lets not forget Central AC for those hot summer days! Directions To Property: E. Main Street To Ross Street. Property On Right.